Ronda Rousey: Time up in WWE? 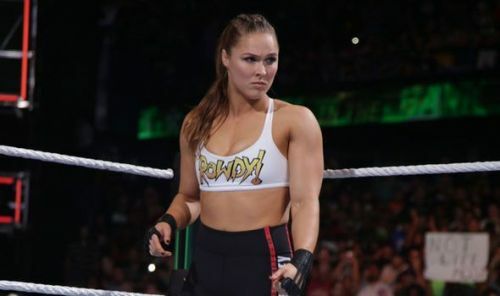 Just days away from her heavily hyped title bout with Sasha Banks at the 2019 Royal Rumble show, Raw Women's Champion, Ronda Rousey is rumoured to be leaving the company after Wrestlemania 35. According to the latest Wrestling Observer Newsletter, as reported by WhatCulture, the opening line states: "There is a very good chance that Ronda Rousey will be finishing up with WWE at WrestleMania." For some time now, Rousey has talked about starting a family with her husband, MMA star, Travis Browne. Perhaps, now at 31 years of age, one of WWE's top drawing cards believes the time is right to step away from the limelight and have a child. Rousey is believed to have signed a one year deal back in early 2018 that expires after Wrestlemania 35. Currently, the Raw Women's Champion is rumoured to defend that belt versus Becky Lynch and Charlotte Flair, possibly in the main event of Wrestlemania, which may now turn out to be one of her final nights in the company. As one of the biggest draws in the promotion, WWE will loath losing Rousey. Perhaps, they can work out a deal which enables her to take time away whilst keeping her under contract. However, Rousey did make it known last year that she was shocked by the intensity of the WWE road schedule, a far cry from what she was used to in UFC or the Olympics. Rousey takes on "The Boss" Sasha Banks in her title defence at the Royal Rumble and will likely compete at the February and March pay per view events, Elimination Chamber and Fastlane in some form, before she inevitably competes in a marquee match at Wrestlemania. If this report is true, it may mean that post-Wrestlemania 35, it will be a long time before we see "The Rowdy One" inside the squared circle again.